On land, any plant mass has an abundance of air rich in CO² (carbon dioxide) and O² (oxygen). Without that, all life is impossible! Through the stomata covering their leaves, the plants release more oxygen than they consume and consume much more CO² than they release. Evacuation of the hot and oxygen-depleted air from the culture chambers is essential for indoor cultivation because it avoids the suffocation of plants and the attack of pests and moulds that are fond of stagnant and humid air. 4"/100mm Ram Carbon filter kit with TT fan. 4"/100 RAM Carbon Filter kit with TT Fan All our RAM filter kits are supplied with 5 metre of Combi-ducting, 3 quick clips of the size kit you require & a pair of rope ratchets!! The RAM Pro Active Carbon Filter Range is a professional range of filters designed ..
Ram Carbon filter kit with TT fan. All our RAM filter kits are supplied with 5 metre of Combi-ducting, 3 quick clips of the size kit you require & a pair of rope ratchets!! RAM Filters The RAM Pro Active Carbon Filter Range is a professional range of filters designed with the grower in mind. 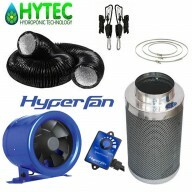 Guaranteed to ..
4"/100mm Ram Carbon filter kit with RVK fan. 4"/100mm RAM Carbon Filter Kit with RVK Fan. All our RAM filter kits are supplied with 5 metre of Combi-ducting, 3 quick clips of the size kit you require & a pair of rope ratchets!! The RAM Pro Active Carbon Filter Range is a professional range of filters designed with the g..
Ram Carbon filter kit with RVK fan. All our RAM filter kits are supplied with 5 metre of Combi-ducting, 3 quick clips of the size kit you require & a pair of rope ratchets!! RAM Filters The RAM Pro Active Carbon Filter Range is a professional range of filters designed with the grower in mind. Guaranteed to do the job – i..
4"/100mm Phresh Filter kits with TT fan All our Phresh filter kits are supplied with 5 metre of Combi-ducting, 3 quick clips of the size kit you require & a pair of rope ratchets!! Phresh® Filters Becoming known for producing the World’s finest carbon filter doesn’t happen ov..
Phresh Filter kits with TT fan All our Phresh filter kits are supplied with 5 metre of Combi-ducting, 3 quick clips of the size kit you require & a pair of rope ratchets!! Phresh® Filters. Becoming known for producing the World’s finest carbon filter doesn’t happen over night ! Phre..
4"/100mm CarboAir™ 50 filter kits with TT fan All CarboAir filter kits are supplied with 5 metre of Combi-ducting, 3 quick clips of the size kit you require. 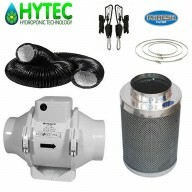 CarboAir™ 50 has been developed to filter VOCs (Volatile Organic Compounds) from smaller grow room environments.CarboAir™ 50 has a 50mm ..
5"/125mm Phresh Filter kits with TT fan All our Phresh filter kits are supplied with 5 metre of Combi-ducting, 3 quick clips of the size kit you require & a pair of rope ratchets!! Phresh® Filters. Becoming known for producing the World’s finest carbon filter doesn’t happen over night ..
4"/100mm Phresh Filter kits with RVK fan All our Phresh filter kits are supplied with 5 metre of Combi-ducting, 3 quick clips of the size kit you require & a pair of rope ratchets!! Phresh® Filters Becoming known for producing the World..
Phresh Filter kits with RVK fan All our Phresh filter kits are supplied with 5 metre of Combi-ducting, 3 quick clips of the size kit you require & a pair of rope ratchets!! 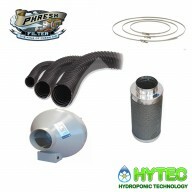 Phresh® Filters Becoming known for producing the World’s finest..
5"/125mm CarboAir™ 50 filter kits with TT fan All CarboAir filter kits are supplied with 5 metre of Combi-ducting, 3 quick clips of the size kit you require. 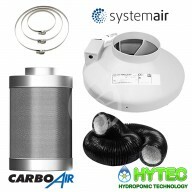 CarboAir™ 50 has been developed to filter VOCs (Volatile Organic Compounds) from smaller grow room environments.CarboAir™ 50 has a 50mm ..
4"/100mm Mountain Air Filter kits with TT fan Voted North America's Best Filter - FIVE TIMES!! (3 Year Life) MountainAir® Filters are a range of filters that have been designed to maximum quality, performance and durability. No other filter has been able to last more than 3 yea..
4"/100mm CarboAir™ 50 filter kits with RVK fan All our CarboAir filter kits are supplied with 5 metre of Combi-ducting, 3 quick clips of the size kit you require. 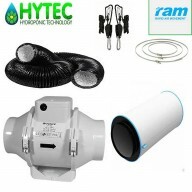 CarboAir™ 50 has been developed to filter VOCs (Volatile Organic Compounds) from smaller grow room environments.CarboAir™ 50 has a ..
5"/125mm Phresh Filter kits with RVK fan All our Phresh filter kits are supplied with 5 metre of Combi-ducting, 3 quick clips of the size kit you require & a pair of rope ratchets!! Phresh® Filters Becoming known for producing the World..
5"/125mm CarboAir™ 50 filter kits with RVK fan All our CarboAir filter kits are supplied with 5 metre of Combi-ducting, 3 quick clips of the size kit you require. 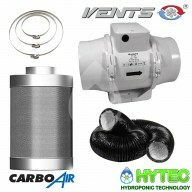 CarboAir™ 50 has been developed to filter VOCs (Volatile Organic Compounds) from smaller grow room environments.CarboAir™ 50 has a ..
4"/100mm Mountain Air Filter kits with RVK fan All our MountainAir filter kits are supplied with 5 metre of Combi-ducting 3 quick clips of the neccessary size kit you require. A pair of rope ratchets! 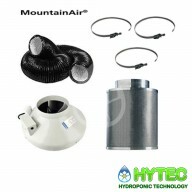 !​ MountainAir Filtrs ..
5"/125mm Mountain Air Filter kits with TT fan Voted North America's Best Filter - FIVE TIMES!! (3 Year Life) MountainAir® Filters are a range of filters that have been designed to maximum quality, performance and durability. No other filter has been able to last more than 3 yea..
5"/125mm Mountain Air Filter kits with RVK fan All our MountainAir filter kits are supplied with 5 metre of Combi-ducting 3 quick clips of the neccessary size kit you require. A pair of rope ratchets! 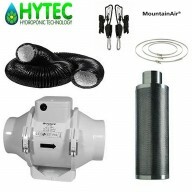 !​ MountainAir Filtrs ..
Phresh Filter kits with Phresh Hyper Fan All our Phresh filter kits are supplied with 5 metre of Combi-ducting, 3 quick clips of the size kit you require & a pair of rope ratchets!! Phresh® Filters Becoming known for producing..